The length of time (window) where the elimination period or waiting period would need to be filled if they are not consecutive days. It would be very probable where an insured dentist would be in and out of work being able to "accumulate" their days out of work to reach the specified waiting period thus triggering a claim. Usually the longer the elimination period, the longer the accumulation period. This is a hybrid of group and individual coverage. Many medical associations across the country have created such plans to attract new members to their respective associations and add value. These plans are typically guaranteed renewable plans requiring membership fees to maintain the association coverage. The premium for such plans are age banded (increase in cost as the dentist ages) and can increase on an unscheduled basis. It is never a good idea to have all of your disability coverage in such a plan simply because they are fairly volatile in premium and usually lack in strong quality verbiage to maintain lower premiums. The length of time a disability benefit would pay if disabled, typically to age 65 or 67. Some plans are still issuing benefits periods of LIFETIME, a benefit would pay as long as you are alive and disabled. Pays the overhead of a dental practice if disabled so that the physician doesn't have to use their savings or disability benefit to pay the bills. These plans have shorter benefit periods of 12 to 24 months so that it dovetails with pre-established practice agreements or long term leases and allows enough time for the disabled physician to determine if he or she is going to recover or needs to dissolve the practice after health status is firmly determined. This type of coverage with also tax-deductible as a business expense making it even more affordable and far less expensive than a traditional disability income policy. A term used to describe the immediate activation of disability coverage in exchange for a premium assuming medical requirements are met and all underwriting qualifications are met. If the insured becomes disabled in this window of time before approval of a policy, the benefit would be paid (assuming the definition of disability is met) if health status before the claim would have permitted an approval of a policy. The length of time a physician would need to be disabled before entering into a claim scenario. The longer this period, the lower the premium since this essentially is a deductible. This details the risks the insurance company wouldn't cover a physician for resulting in no benefits paid. A very common exclusion most carriers are excluding are disabilities caused from war and mental/nervous disorders. There are still a few companies willing to not excluded for any mental/nervous disorders. This allows a physician to expand their disability policy by the amount purchased without having their health re-examined by an insurance company on the anniversary date. This is a very important rider for newer physicians wanting to protect a projected larger income since their health status could change making them ineligible for increased coverage without this rider. A physician would still need to prove their larger income through W-2s and/or tax returns to qualify for the increased coverage. Disability coverage that covers a group of physicians. Usually "initially" inexpensive since the definitions and premiums can change on an annual basis. Most these plans are not portable to a new occupation or practice. For larger medical groups some insurance companies are willing to issue individual disability insurance without having to place a physician through medical or financial underwriting. With larger pools of physicians an insurance company will consider such an offer so that to avoid adverse selection. Adverse selection is an undiversified group of risk removing normal statistical risk profiles. A characteristic of a disability plan that prevents the insurance company from changing the definitions or cancelling the plan. The do reserve the right to change the premium for a given class of insured's. Most association group coverage plans are guaranteed renewable. A plan to protect a physician's income from an injury or sickness. Usually these plans are fully underwritten meaning a physician would need to prove their health and income to be an acceptable risk to the insurance company. Usually these plans once activated are guaranteed never to change in premium or definitions for the life of the policy usually to age 65 or 67. The amount of monthly benefit an insurance company would be willing to place on a physician with a specified income. Each insurance company sets their own issue limit for a given medical specialty and income. A less liberal definition of "own occupation" language where a benefit would be paid as long as the physician is unable to perform the material and substantial duties of their occupation and isn't by choice working in another occupation. If the physician elects to work in another occupation then the new occupation income would offset the disability benefit by a predetermined formula. The amount of money paid to a physician that has met the definition of disability for the respective insurance company. A characteristic of an individual disability plan that prevents the insurance company from changing the premium or definitions for the length of the benefit period. 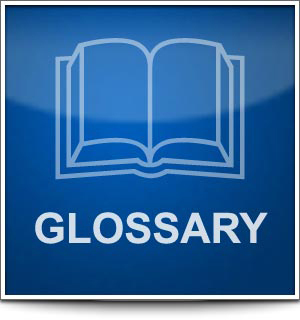 A term used to describe the more liberal disability contracts available to physicians. With "own occupation" language, if a physician cannot work in his or her occupation because of sickness or injury then they would receive a monthly benefit regardless if they were working in another occupation. There would be no offset from monthly disability benefits from earnings in a new occupation. This definition is what triggers a claim if a dentist is not totally disabled but partially disabled. Every disability contract should have some form of partial disability rider verbiage. The amount an insurance company will participate in the overall disability income protection program for a physician. An insurance company will participate at a higher level than it will actually issue on physician. The participation limit is set for each carrier for and is further broken down by medical specialty. The participation limit would look at the total coverage from group, association, and individual coverage. Insurance companies work together through the use of participation limits to prevent a physician from having more benefit than he or she actually has in income if we look at the NET disability benefit paid after taxes. A condition affecting the probability of claim being paid whereas the insurance company is unwilling to cover since it was a health condition before the insurance was applied. This is something most common to the group disability insurance and guaranteed standard issue (GSI) insurance market. A physician would be presumed totally disabled if these conditions are met even if they could work in some capacity. The loss of sight, limbs, or speech would be examples of a presumptive disability but differ with each insurance company. The benefit an insurance company would pay a physician who is recovering from a total or partial disability. It can come in the form of lump sums of money or a temporary richer payment of residual disability benefit. Since most disability claims end up in a residual payment, it is very important to understand how this rider would perform and compare it to alternate carriers. In a given window of time, typically 6 to 12 months, if a physician becomes disabled for like causes after being on a disability claim, the elimination period would be waived thus entering into a claim scenario immediately. Insurance companies are willing to provide special rehabilitation benefits to assist a physician in a better way of life during and after a disability. This usually helps the physician get back to work sooner causing less grief on the overall financial picture and family. Physicians in residency are eligible for a preset amount of disability coverage regardless of income, only need to prove their health insurability to an insurance company to acquire coverage. This would be portable so that when they finish fellowship or residency they have coverage immediately at the new practice setting. Not totally disabled but the physician has some loss of time or duties and loss of income, usually at least 20% but some will go down to only 15%. This is generally a more liberal definition than partial disability since you usually don't have to be totally disabled during the elimination period to qualify. This is a rider available on all quality disability plans and should always be considered since a physician might not ever be totally disabled only residually disabled. Social security has a disability benefit if totally disabled but would require that a physician is unable to perform ANY occupation to qualify for a benefit. The definition of being disabled for social security is the hardest to qualify for. A physician can reduce the premium for their disability coverage if this rider is added since it would offset the benefit from the insurance company if social security benefits pay. If the physician didn't qualify for social security but met the definition for the insurance company for a claim then there would be no offset. The disability benefit available through social security is dependent upon past income and will show on the annual social security statement. Some insurance companies will liberalize the definition of total disability to address medical specialties. This is what we call a “specialty” definition of total disability. The verbiage in the plan would read so that if a physician has limited their practice to a single recognized specialty that they will deem that specialty to be their occupation. This is very unusual and rare language to find in a disability contract. When a physician is unable to perform all the material and substantial duties of their disability policy’s definition of total disability then they would fall into a total disability claim resulting in full monthly benefits. Under certain circumstances the elimination period would not need to be met to enter into a claim scenario. This is typically after a physician has entered into a claim scenario and later re-entered because of like causes. If a physician is being paid a benefit for being disabled totally or partially, the insurance company will waive the disability premium.